Penny Edmonds is Associate Professor and a recent ARC Future Fellow (2012-2017) in the School of Humanities at the University of Tasmania. 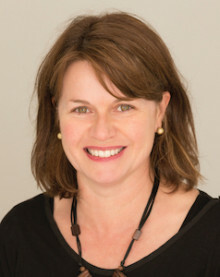 Penny's research interests include colonial/ postcolonial histories, humanitarianism and human rights, Australian and Pacific-region transnational histories, performance, and museums and visual culture. She is a recent co-editor of Australian Historical Studies (2015-2018). Her books include Urbanising Frontiers: Indigenous Peoples and Settlers in 19th-Century Pacific Rim Cities (UBC Press 2010) and Settler Colonialism and (Re)conciliation: Frontier Violence, Affective Performances, and Imaginative Refoundings (Palgrave 2016), which was shortlisted for the Ernest Scott Prize in 2017. Penny presented the 2017 Trevor Reese Memorial Lecture in Australian History, at the Menzies Centre for Australian Studies, King College, London, titled ‘Heart, Power, Treaty, Truth: Affective, Political Performances in (post) Reconciliation Australia’.